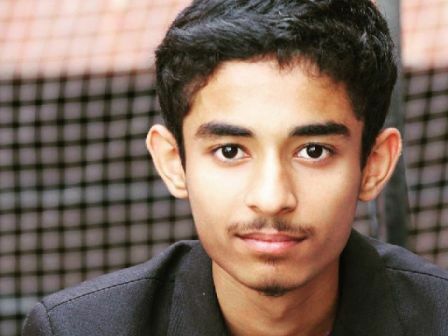 Islamabad: A 17-year-old Pakistani, Mohammad Shaheer Niazi, is making waves in the world of physics and earning global praises for his visualisation of a phenomenon called “electric honeycomb”. Niazi’s area of research is the Rose window instability, which is known to physicists for decades, but remains little explored. In 2016, he replicated the phenomenon and presented his work at the International Young Physicists’ Tournament as one of the first Pakistani participants. Later, he developed photographic evidence of charged ions creating the honeycomb, and published his research titled, ‘The Electric Honeycomb: An Investigation of the Rose Window Instability Work’ in the Royal Society Open Science — an esteemed science journal. The visualisation by Niazi reveals fundamental principles about how electricity moves through fluids that can help engineers to develop technology for printing, heating or biomedicine. The Rose Window is an electric honeycomb structure that was little-explored but Niazi managed to capture its formation. Concisely, the structure occurs when a specific type of electrically charged particles travel between a pointy and a flat electrode but hit a puddle of oil during travelling. This looks exactly like a honeycomb and the phenomenon is known to physicists as rose-window instability. As per the research by Niazi, the honeycomb effect is formed by the amassing of charged ions due to which an electrical pressure is developed on top of the oil surface; while struggling to go back to the grounded glass electrode present under the oil surface to complete the circuit, these ions get trapped and sink because oil is a poor conductor of electricity. To prove that the ions were moving, Niazi photographed images of the shadows formed by their wind as they exited the needle and recorded the heat presumed to come from the friction of their travel through the oil. Niazi’s research paper stunned even veteran scientists. The thermal images surprised Dr Alberto Perez Izquierdo, a physicist at the University of Seville in Spain, as neither he nor others had previously explored temperature changes on the oil’s surface. “I think it’s outstanding for so young a scientist to reproduce these results,” The New York Times quoted Dr Izquierdo as saying. Niazi is a high school student at Lahore College of Arts and Sciences in Lahore where he also represents the school’s Astronomy club. He was supported in his research by Physics faculty of Lahore University of Management Sciences. In 2016, Niazi became the youngest Pakistani to attend the European Southern Observatory (ESO) camp 2016 held in Italy. The talented younster aspires to further explore the mathematics of the electric honeycomb, and dreams of earning a Nobel Prize.